This separation created the two continents of Africa and Europe. 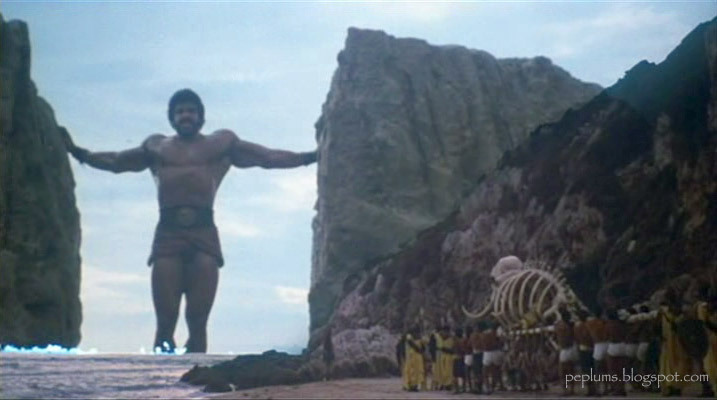 Thank the gods for the existence of this endlessly entertaining goofy film. To me it's Goofy and somewhat weird. The mechanical monsters sort of turned me off when I saw this in the movies. I still watch it once in awhile, and I really think that with a better script and non-mechanical monsters this movie could of been a huge hit instead as a B Drive-In Movie. Comic book heroes inspired by action stars? In the News: "Pompeii of the North"